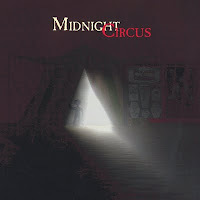 Michael Hedstrom's Midnight Circus CD is a dark, creepy and whimsical ride under the Big Top. Eleven tracks of EXACTLY what you'd want for your Circus or Sideshow themed haunt/event or for any spooky occasion. Has a certain "CARNIVAL OF SOULS" feel to it. "The Tunnel of Fun" is simply terrifying! DO NOT listen if you fear clowns, as this broadcast will not help your condition!